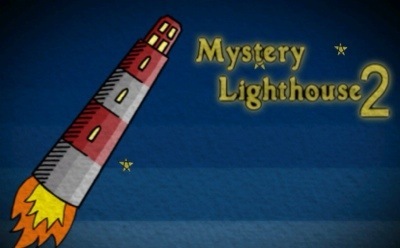 Looking for the walkthrough for the first Mystery Lighthouse? 1. You’re in the lighthouse, which is a rocket ship. You need to find a floppy disk for the auto-pilot. Go downstairs and open the desk drawer to see a clue. 2. Go down another floor and remove the painting to reveal a safe. Use the clue from the drawer to open the safe. Read Uncle Augustus’s letter and take the floppy disk. 3. 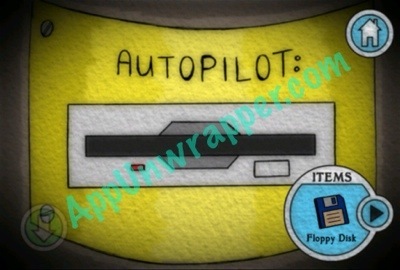 Place the floppy disk in the autopilot slot under the lighthouse light. You’ll crash-land on Saturn’s moon! 4. 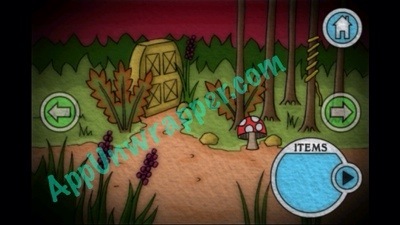 Tap the green mushroom and notice the colors as is squeals. Go right. 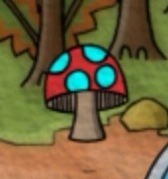 Take the vine from the tree and tap the red mushroom. Also, notice the symbols on the slab that Augustus would be able to read. 5. If you continue right, a large insect blocks your way. So go back and head left, past the exploding fruit. Continue left past the dead insects. 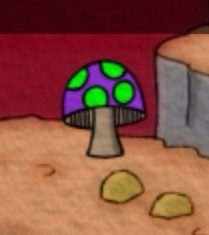 Tap the mushroom and notice its colors. 6. 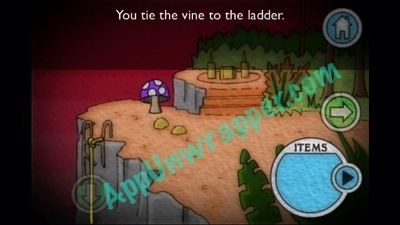 Tie the vine to the broken ladder and climb down. There’s a puzzle here. 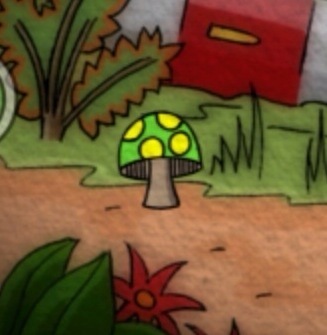 Match the mushroom colors to their spot colors (the rings) to get a key. 7. Go back to the scene with the large insect. Use the key to unlock the door and head down. Pick up the jar and leave. 8. Go to the scene with the two dead insects. 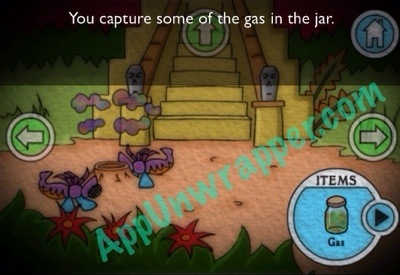 Wait for the puff of colored gas to appear and then use the jar to capture some of it. 9. 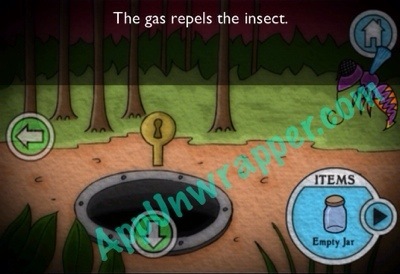 Use the jar of gas on the insect blocking your way and he’ll retreat. Continue right. 10. Ignore the grabber plant for now. Go up the stairs and take the pickaxe. 11. 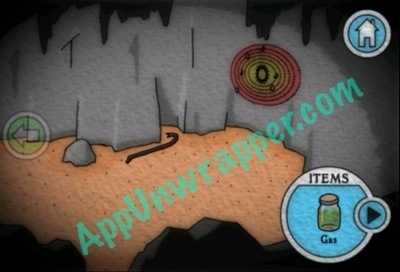 Go back down into the mine where you found the glass jar. 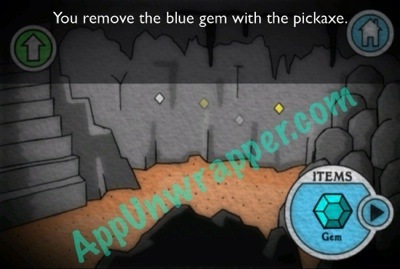 Use the pickaxe to remove the blue gem from the wall. 12. Go back to the scene with the dead insects. 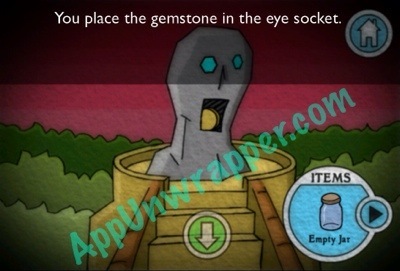 Go up the stairs and place the blue gem in the eye socket of the statue. Take the metal disc from its mouth. 13. 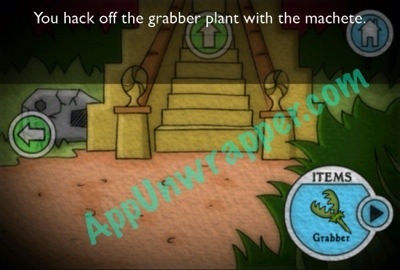 Go all the way right again to the grabber plant and up the stairs. Place the disc in the door. 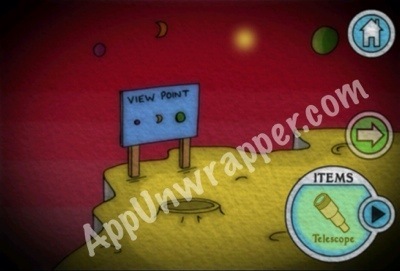 This teleports you to Saturn or its moon. You’re on the moon right now, so teleport to Saturn. 14. Walk left to the campsite. 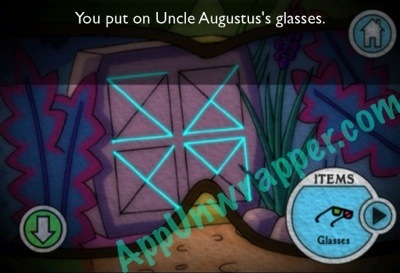 Pick up Uncle Augustus’s glasses. Go inside the tent and pick up his machete. Also, read his note. You can’t unlock the chest yet. 15. Go back to the moon and use the machete to hack off the grabber’s head. 16. 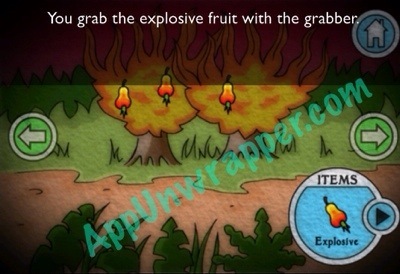 Use the grabber head to take one of the exploding fruit. 17. 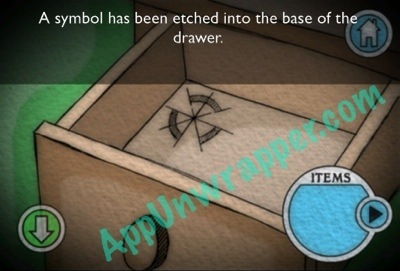 Also, use the glasses on the stone slab to see the true symbols. 18. Go back into the mine. Use the explosive fruit on the rocks to the right so you can pass. Take the crowbar and a good look (or a photo) of the painting on the wall. 19. Go back to Saturn. Go to the museum (all the way to the right). Use the painting you just saw to solve the puzzle. 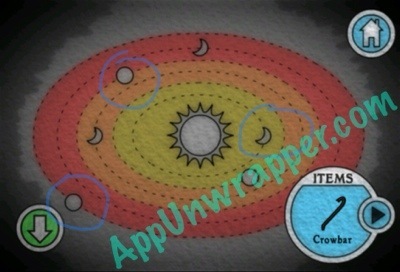 I circled the planets you need to pay attention to. In the image I posted, just move the moon to the right. 20. Go inside. Head left to the tomb. 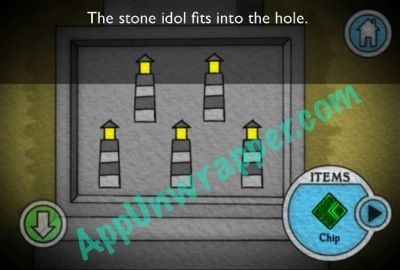 Use the crowbar to open the tomb and take the stone idol. 21. Go back and to the right room and take the circuit board chip. 22. Leave the museum. Place the idol in the slot on the big stone lighthouse right outside the museum. We’ll come back to it soon. 23. Go to the ship that you couldn’t enter before. 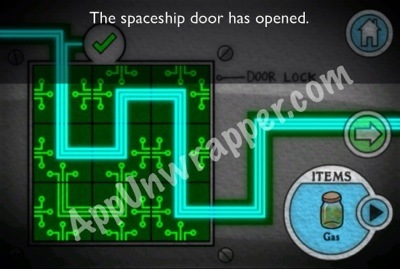 Place the circuit board chip with the rest of the circuit board and solve the puzzle to open the door. 24. 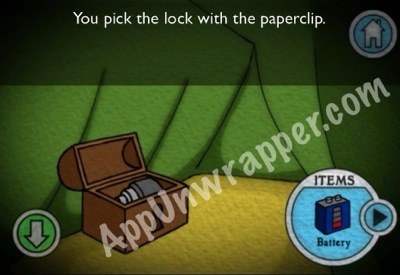 Go inside and take the paperclip and the battery. Also take note of the Blast-Off Checklist. 25. Go back to the tent. 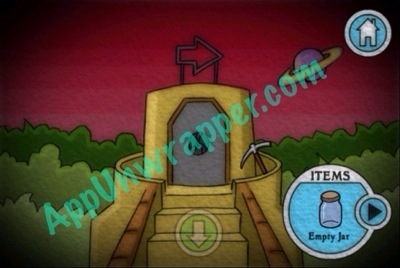 Use the paperclip to pick the chest lock and take the telescope. 26. 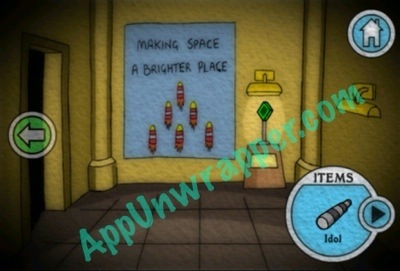 Go all the way to the left and use the telescope on the shining yellow star. It’s a bunch of lighthouses! Take note of the colors. 27. Go back to the stone lighthouse by the museum. 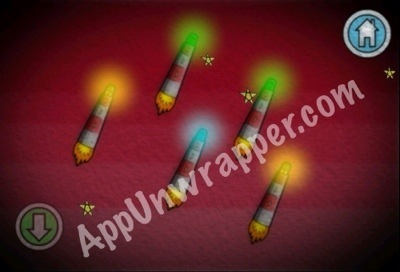 Change the idol colors to match the colors you just saw in the sky (two green on top, then yellow, blue, yellow on the bottom). 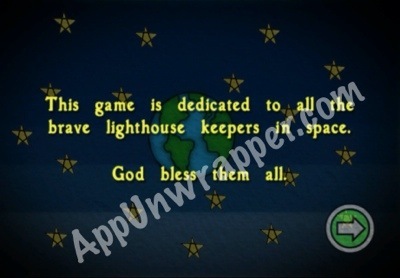 Take the gold key from the top of the lighthouse. 28. Go into the museum and use the gold key to unlock the door straight ahead. If you try to place the battery here, it tells you it needs a charge. 29. Go back to the moon. Go all the way left to a sort of altar. Place the battery on the altar and change the symbols to match the ones you saw on the stone slab. Lightning will strike the battery, giving it a full charge. 30. Go back to the museum and enter the room ahead. 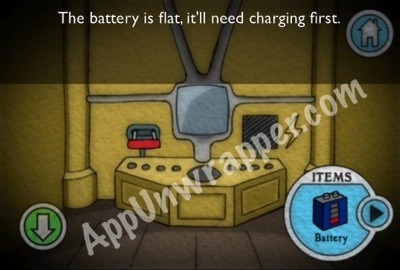 Attach the battery and pull the lever. Now the screen turns on. 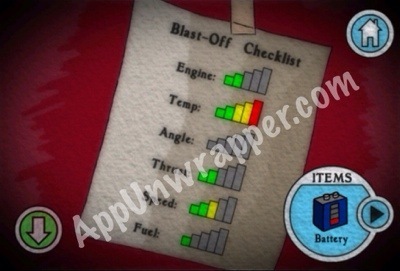 Look at the Blast-Off Chart and add up the number of bars of each couple to solve this puzzle. 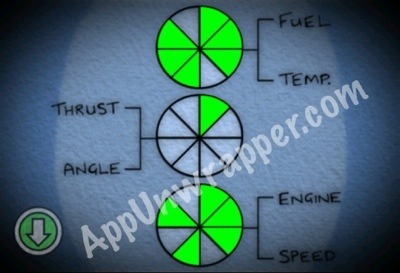 (The top circle has 6 green sections, the middle has 2, and the bottom has 5). Then you blast off into space with Uncle Augustus! Congratulations! 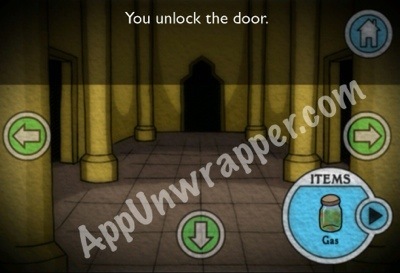 If you liked this game, try Spooky Manor, The Magic Castle, or Mystery of the Lost Temples by the same developer. I loved the first game- the second one is just as good & more challenging! I’m stuck trying to get into the museum! Can anyone help? I’m struggling with the blocks on the ground with the carvings on. How should you arrange the carvings? I assume it is to do with the big block a few screens earlier with 4 X shapes on, but I don’t know how that relates. I guess I’m stuck here because I only have the jar and the pick axe as items and need something else to either get through the wall in the mine or kill the venus fly trap plant. Please help! 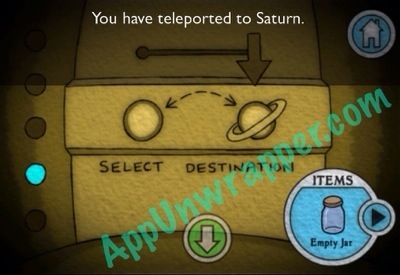 You need to continue past the venus fly trap up to the teleporter and travel to Saturn. There you will find a tent with glasses outside. Use these on the wall to see the pattern. I have used the glasses and put the markings in and i just gt to bolts of electricity and nothing else? Have you figured it out yet? I can get as far as you did too. Get 3 of the 4 figures done and then whammo, lighening bolt and have to start over. Is there a certain sequence to put them in? I cant find the pickax or jar and am stuck big time. Thanks for any help I can get. 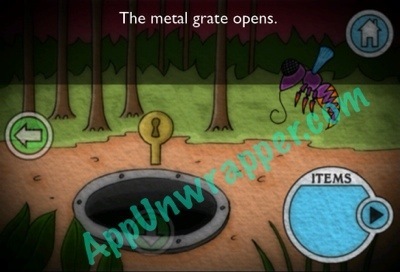 You need to find the machete to cut off the Venus fly trap to carry the exploding fruit to blow up the wall in the mine. Can’t remember if you need to go to Saturn first. You need to go to Saturn at least for the glasses to work out the rock markings. I am stuck in the lighthouse museum on Saturn I front of the console with the dials for fuel/speed/engine etc. Can’t work it out even with the note left in the ship. Any help grateful. Love both these games as they are simple yet taxing. Sorry I thought you were referring to the entry door for the museum. I am stuck where you are as well. The solar system puzzle is as follows: first planet (orange) needs to be positioned upper left, second planet (yellow moon) needs to be positioned directly on the right & finally third planet (red) needs to be positioned bottom left. Found my way to Saturn. How do I enter the palace? Thanks! I am stuck in front of the console for the engine settings inside the museum. Can anybody help ? Cant figure out how the note inside the space ship relates. It is simply a matter of adding up the 3 combinations of the 6 bars. I’m stuck really early! 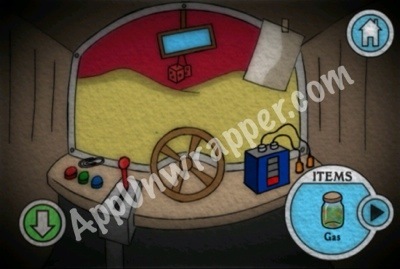 I have the empty jar but can’t find the pickaxe and can’t get past the flying insect? How to get the key to door inside museum? 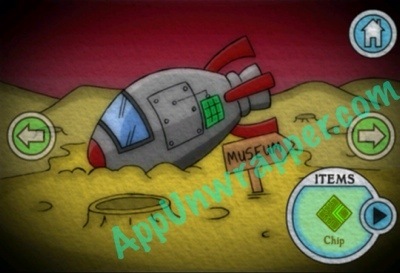 What to do with tomb inside museum? How do you get into the museum? 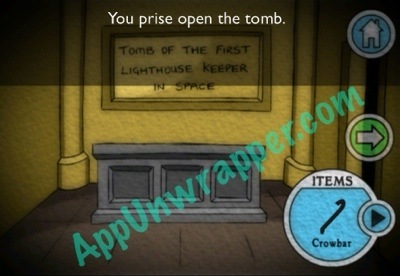 Use the crowbar to pry the top off the tomb. Now we’re robbing graves, lol. I guess I’m stuck here because I only have the jar and the pick axe as items and need something else to either get through the wall in the mine or kill the venus fly trap plant. Please help! How do I get in the museum? I cant open the safe box !! Help !! ….and to get into the museum you need solve the solar system puzzle, which is as follows: first planet (orange) needs to be positioned upper left, second planet (yellow moon) needs to be positioned directly on the right & finally third planet (red) needs to be positioned bottom left. The answer to the puzzle of the light house is in the sky fInd the telescope and look there. 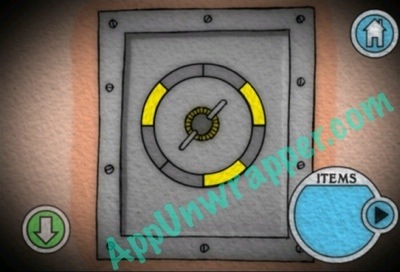 You tell me how to get past the venus fly trap plant and I will tell you how to open the safe box! Go up stairs in front of flytrap to Saturn. Machete is there. 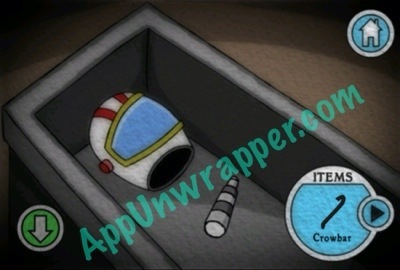 Use it on flytrap to add to your tools. Sorry no machete there only pickaxe. Oh. Can’t remember. I think machete is in cave beyond rock slide. don’t forget to use the fly trap plant to grab the explosive fruit. you need the fruit to blow a hole in the rockslide. how do i get to saturn?! I can’t figure out the solar system puzzle in the museum or what to do with the altar on the moon. 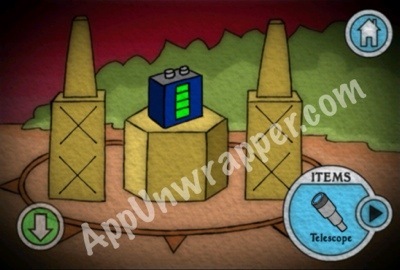 I enter the correct glyphs & 2 bolts of electricity shoot out, but nothing else happens! I can’t figure out the solar system puzzle either. I think we are to find an item to zap later with the electricity. Can anyone please help with solar system puzzle? 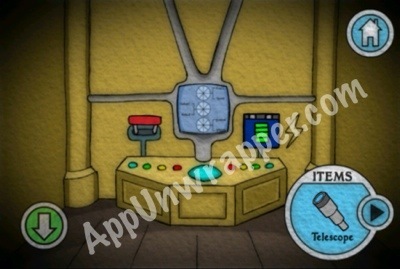 You will need to recharge the battery you find in the marooned spaceship by using the electricity bolts. Im stuck at the very beginning, I have the code for the safe box but dunno why it wouldn’t open.. plz help..
Not sure what else to do. Does anyone know what the explosive fruit is for? 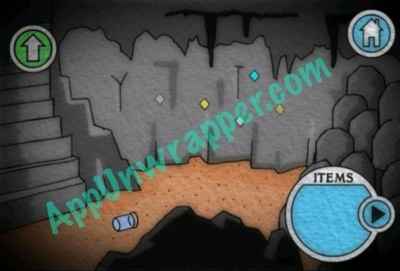 The fruit is to blow up the rock slide in the cave. Finally done it. On the console screen it’s just a case of adding up all the bars. Ive gotten the battery, and now it’s charged but I’m not sure what to do with it. 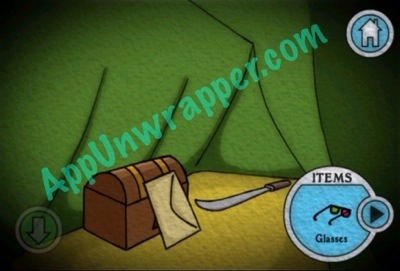 I also still need the keys to get into the sort in the museum and in the chest in the tent. Any help? 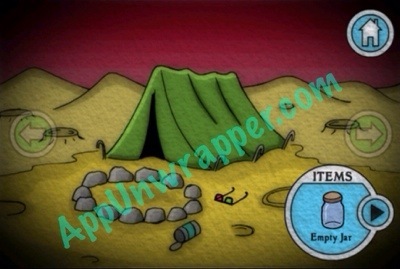 use the paperclip to open the chest in the tent. 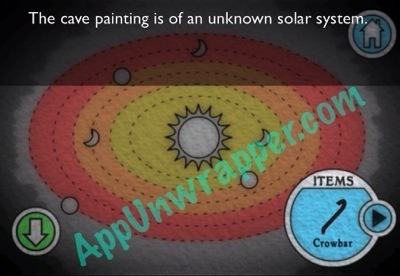 to enter the museum i think you will have to refer to the solar system painting in the cave which you get thru by using the exploding fruit against the loose wall on the right. 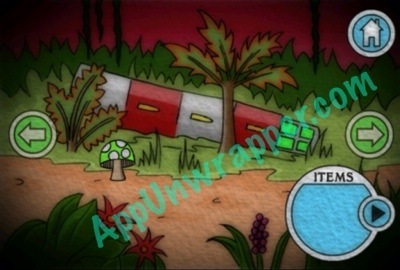 To open the chest in the tent you need the paper clip which can be found in the crashed spaceship. 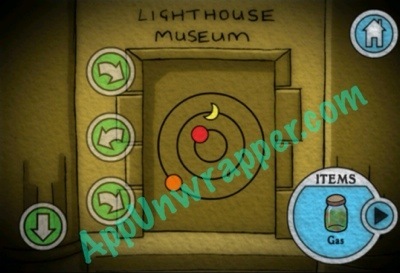 How do i solve the museum puzzle? I’m stuck here. Thanks Chris, this hint allowed me to complete the 2nd game – cheers! 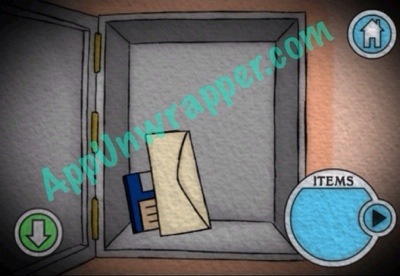 Where do you find the paper clip and how do you solve the puzzle in the museum? When you have killed the fly with the gas go past and up the stairs, the pick axe is leaning against the stone.